A cool-wearing, classic, short-sleeved, button-front shirt made with a light and breathable 70% organic cotton/30% recycled polyester plain-weave fabric. 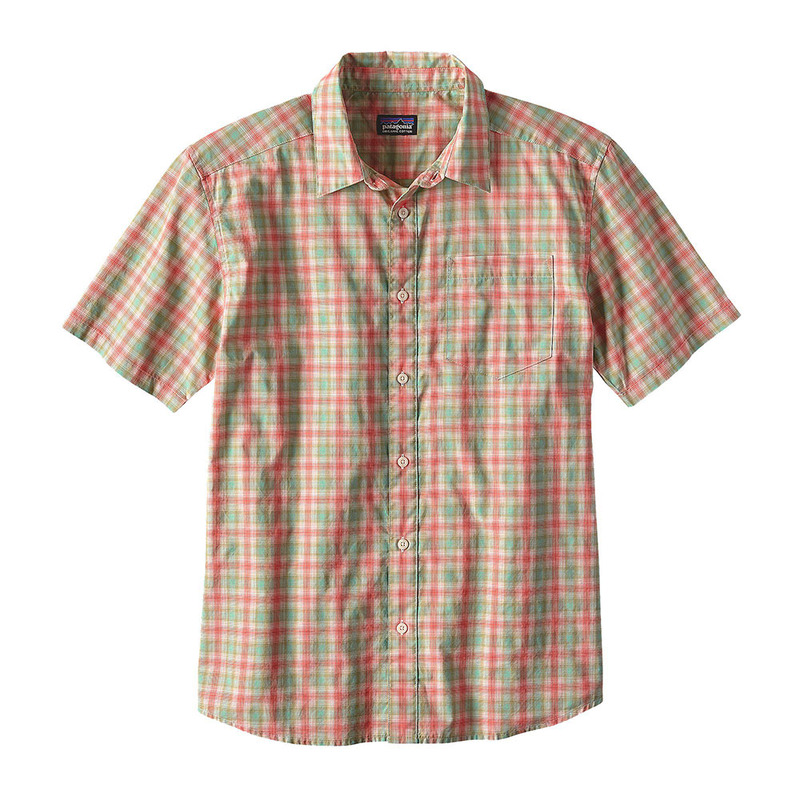 A short-sleeved shirt capable of handling the sweaty, crumply, sleep-in-the-backseat rigors of the road. Made of a light and breathable 70% organic cotton/30% recycled polyester plain-weave blend, the gig-friendly Fezzman is durable, wrinkle-resistant and comes in a host of fetching plaids and stripes for added groupie appeal. The respectable point collar�even at your road-weary worst�will get you in the door, while the wrinkle-resistant 70% organic cotton/30% recycled polyester plain weave, combined with your good behavior, will keep you from getting thrown out. Light, durable and cool-wearing, it has pearl buttons throughout, a shirttail hem, a regular fit and is modestly festooned with a patch pocket on the left chest.